Minnesota Wild - BrainstormOverload - Small design studio. Big ideas. We’ve worked on a number of projects for the Wild. 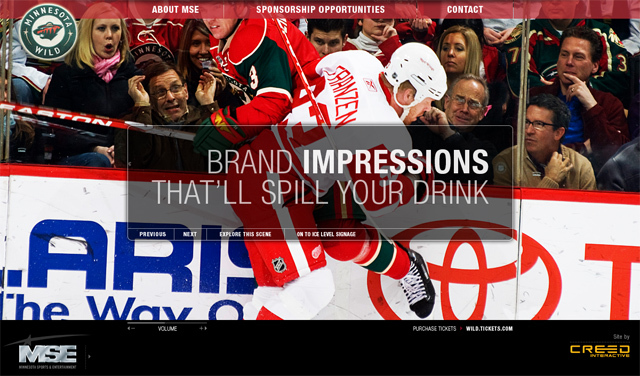 Our goal for this Flash microsite was to make the sponsorship opportunities available in the Saint Paul Excel Center as exciting as the games. 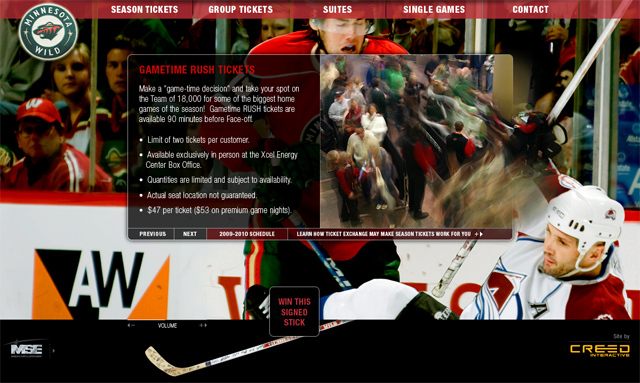 This site showcases those opportunities in the context of the game and the enthusiasm of the regular sell out crowds. Users can explore the browser filling photography organically or click through the presentation in the central module. 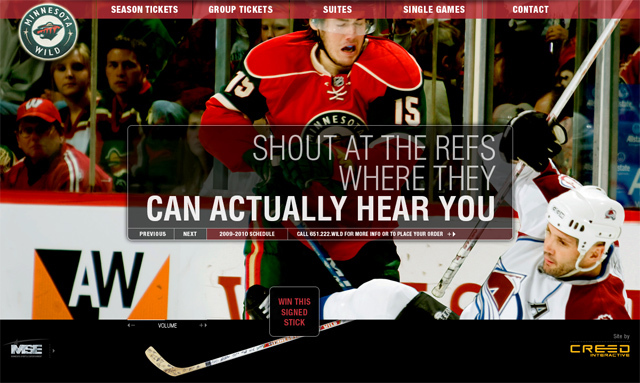 We’ve also done a fair amount of copy and headline writing for these sites. 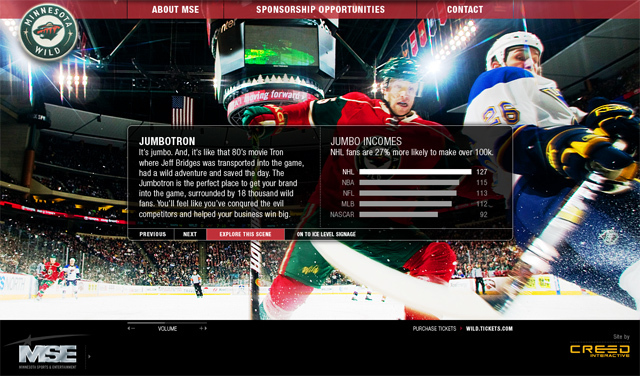 The sponsorship site was so successful the Wild asked us to do another one based on the same template – this one for season ticket sales. We layered the photos and Andy Rakotz build some fun parallax animation so the background responds to the position of the user’s cursor. Inset photos spill out of the modules to interact with the background.